Friends walk in and out of our lives all the time. Whether due to a location change or different seasons and interests, it is part of life. For some of these friends, you have fond memories but have trouble remember their children’s names. And then for others, when they left they took a piece of your heart. Lee Nienhuis was part of my life for a very short period. I am sure she wonders why God placed her in Northwest Arkansas for only 15 months, but I know that she was here partly because a lonely, struggling momma needed her. Thirteen years later, multiple states separate our friendship, but I have no doubt that we could pick right up if geography wasn’t an issue. 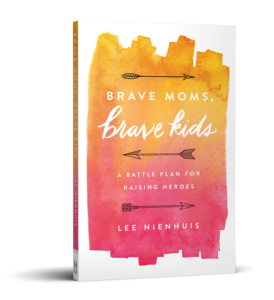 Last year, God opened the door for Lee to share her motherhood journey in a book entitled Brave Moms, Brave Kids. I had the privilege of not only reading her humble, honest book, but because of my friendship with Lee, I could hear in my head her sharing her wisdom as I turned from page to page. Lee believes that there one thing holding us back from being the best we can be…fear. We know that fear is real. We fear pain, mistakes, and separation. We fear our child getting hurt, our daughters marrying the wrong men, and our sons getting tangled in addictive behaviors. Fear holds us back from taking the next step and holding our heads high. It cripples and keeps us from our best. But the popular Zach Williams song reminds us that “fear is a liar.” It is a tactic from the enemy to keep us from shining bright. We must believe the truth and combat the lies that fear desires us to take hold of. But Lee opened my eyes to a whole new understanding of fear. Fear was created in love to move us toward Him. …What God meant to be a tool in our lives to bring order and to create in us awe, worship, and reverence, the Enemy uses to send all manner of destruction in our lives. …In the hands of the Lord, fear produces in us reverence and worship and helps us set healthy boundaries. These three sentences have changed my life. Because fear is not the enemy, we can move past the lies and cling to the truth. The enemy desires us to live in fear because it causes us to keep our personal relationship with Christ at arm’s length. We fear releasing control to God and thus are ineffective at raising heroes. If [the Enemy] can somehow convince us that God isn’t who He says He is or we begin to question His heart toward us, unbelief sneaks in. …Unbelief is a refusal to trust and it is poisonous in the life of a believer. Lee believes we move past fear by getting to know God – who He is and what He does. As we begin to grasp the sovereignty of God, we instinctively begin to teach the hearts of our children. When fear of the “what if’s” is replaced by a growing understanding of who God is, our parenting changes. 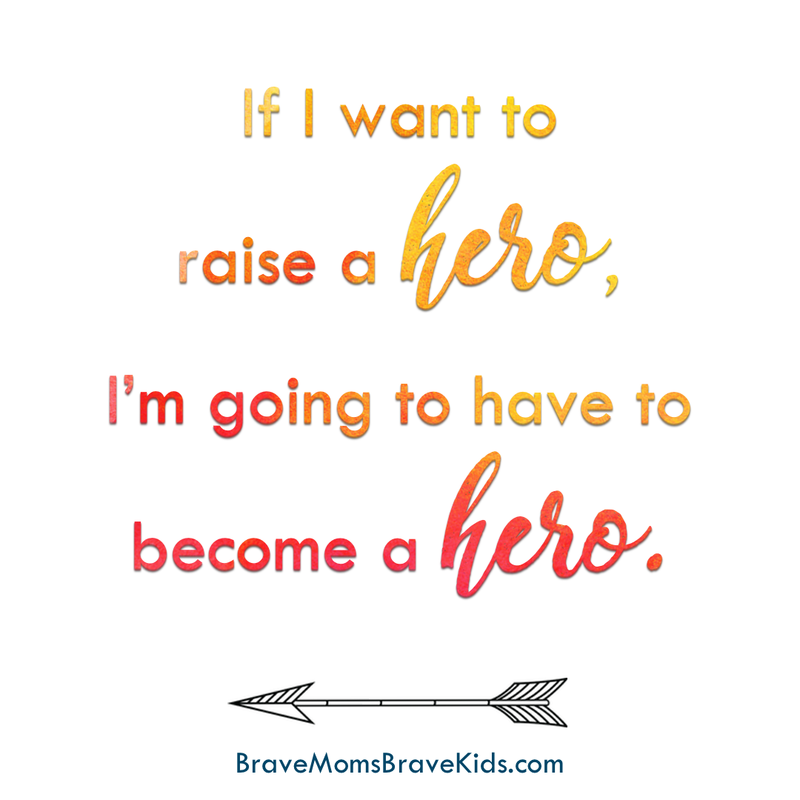 And as we become brave moms, we will instinctively develop brave kids. In her book, Lee provides seven ways that we can do this. Here are some of my favorite nuggets of wisdom that Lee shares. The minute we put our children’s comfort or happiness in front of their obedience to the Lord, we have believed the lies. 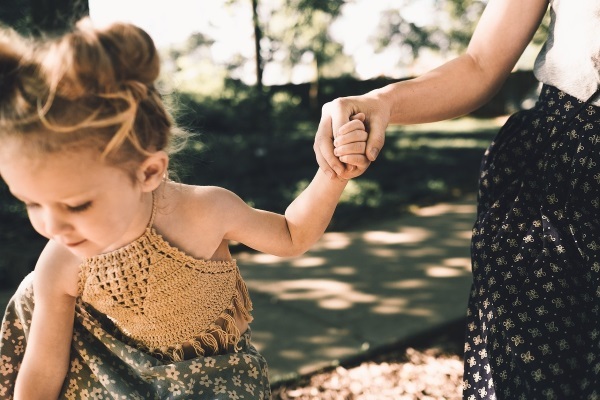 The Enemy would have us believe God’s ways are restrictive, or the job of disciplining our children is too much for us. The truth is God’s ways may not bring immediate happiness, but they will bring lasting joy, peace, and a life that honors our Lord. …The bending of our wills to the Lord is part of the process of making us look like Him. Bible memorization is a key to teaching our children to discern wisdom from folly and to equip them to live in a culture that has lost its bearing. As we discipline, we need to make sure we hold Scripture as the standard and not our own expectations. That means our children obey us not because we are bigger than they are and in charge, but because the Lord has told them to honor us that it may go well with them (Ephesians 6:2-3). We want them to learn not to whine, act selfishly, steal, sleep around, or snark at the authorities in their lives because God said not to, not because we have tried to produce children who are easier to handle and can be successful in the world. We’re looking for transformed and renewed minds. We all desire to have children who glorify God. But this doesn’t just happen. I requires us to fear the Lord, be brave in our parenting, and teach our children with the goal of transformed and renewed minds. Struggling with fear that is keeping you from being the mom who desire to be? I encourage you to pick up Lee’s book Brave Moms, Brave Kids and learn how to turn the Enemy’s fear into “reverence and worship” and raise brave children.